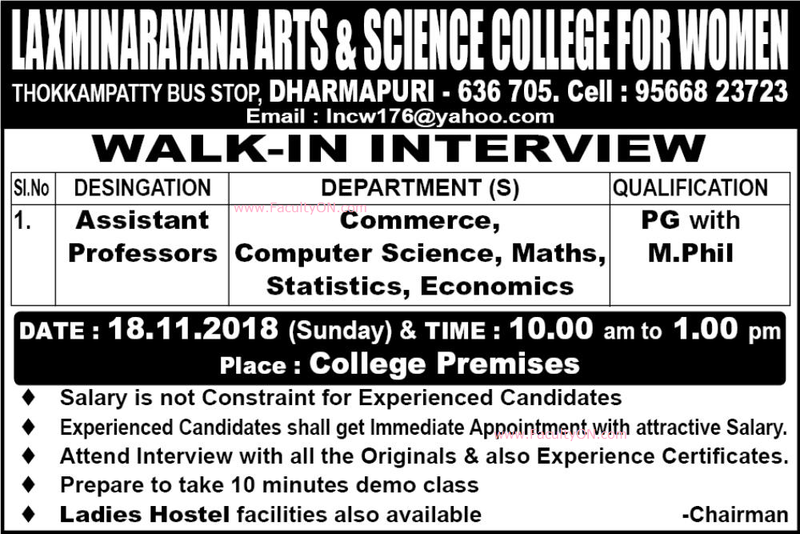 Laxminarayana Arts and Science College for Women, Dharmapuri, has advertised in the DINATHANTHI newspaper for the recruitment of Assistant Professors jobs vacancies. Interested and eligible job aspirants are requested to walk-in on 18th November 2018. Check out further more details below. College Profile: Laxminarayana Arts and Science College for Women, Dharmapuri is a popular arts college affiliated to Periyar University.